Shout! Kids always has great releases for children. We are looking forward to them and love watching over and over again our favorite DVDs. Last month Shout! Factory had a bunch of good releases and we were lucky to check them out. The first one Teddy likes is Transformers Rescue Bots: Protect And Explore . 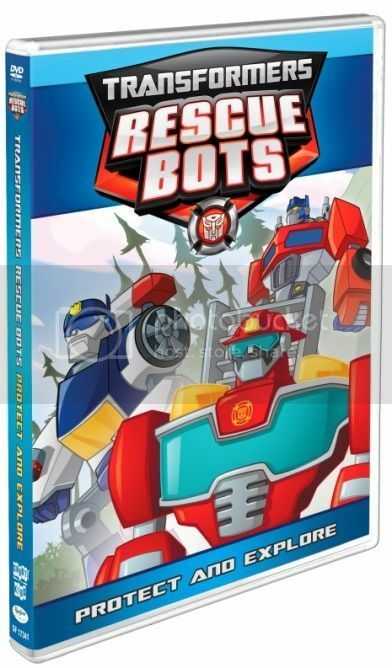 My boy loves everything related to Transformers and this DVD was his favorite. The story starts when a mysterious iceberg is spotted off the coast of Griffin Rock. It brings both danger and the interest of an old nemesis. On a nature hike, the Rescue Bots team will have to battle escaped snakes. And when the Burns family is stranded at sea by a swarm of jellyfish, the Bots must control miniature souvenir replicas of themselves. Enjoy these adventures and more in Transformers Rescue Bots: Protect and Explore! In five action packed episodes Chaise, Heatwave, Blades and Boulder solve problems no one else can and prove they are real heroes. 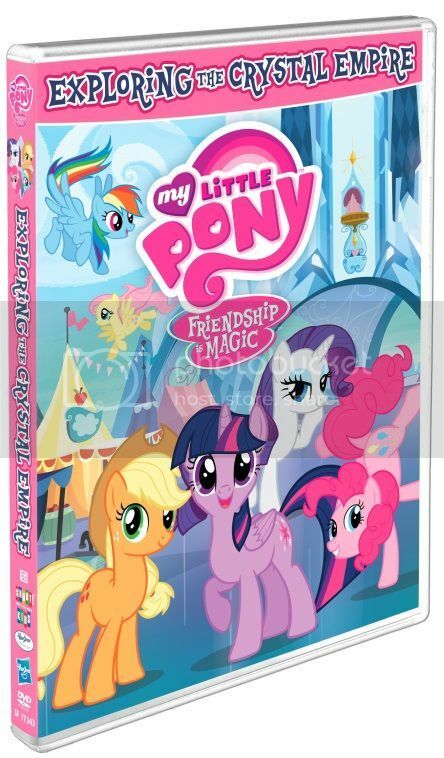 The second pretty cool release is My Little Pony Friendship Is Magic: Exploring The Crystal Empire . My niece a huge fan, even more than Teddy, of My Little Pony series. She has a whole set of toys and drew ponies all the time to show how she likes them. In this DVD Twilight Sparkle and her best friends - Rainbow Dash, Applejack, Rarity, Fluttershy, Pinkie Pie and Spike -explore the wondrous arctic kingdom, the Crystal Empire! Old enemies return and new friends are made in this collection of 5 episodes that will have you exploring the Crystal Empire with magical adventure! My Little Pony releases always have great Sing-Along bonus features. 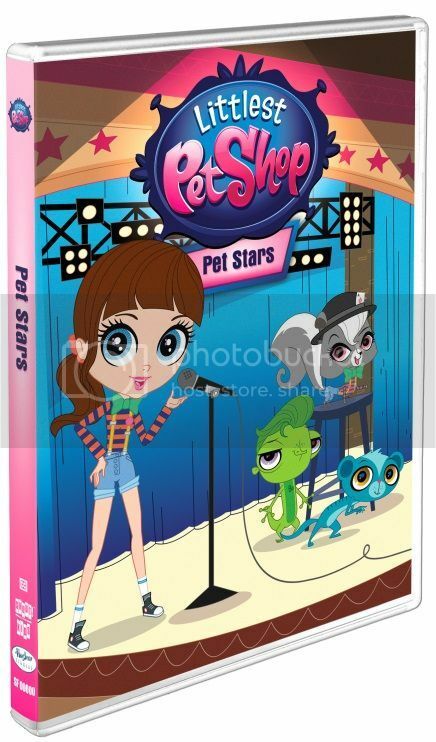 The last DVD release in the the series, little ones will love for sure, is Littlest Pet Shop: Pet Stars . Join Blythe and her superstar pet pals as they are ready to shine Pet Stars! Pepper helps Blythe in a standup comedy contest and Sunil must choose between being the king of the City Park raccoons or going back to the pet shop. Blythe also works to save her friend from looking foolish on a television. Sinister king cobras! Comedy festivals! Pet hotels! And a monkey on Mars?! No matter how famous the pets get, they remain best of friends! Follow adventures of Russell the Hedgehog, Pepper the Skunk, Zoe the Spaniel, Minka the Monkey, Sunil the Mongoose, Penny the Panda, Vinnie the Gecko and Blythe. The DVD also features Sing-Along so that viewers can belt out their favorite song. We enjoyed watching these releases and happy to give a chance our readers to win a set of three mentioned DVD for themselves. Simply fill the Rafflecopter form below and good luck! The giveaway is open to US & Canadia residents and ends April 5,2017! 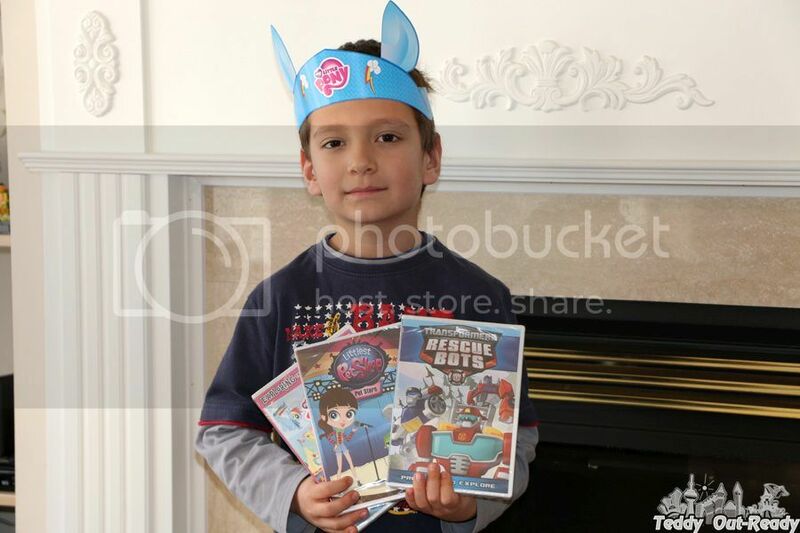 I would like to win these great DVD`s for my grandson, he`s a huge Transformers fan. This would be for the granddaughters. They love movies. I have 2 granddaughter and 1 grandson all of who are 3 years old. (All three of my older kids had their first baby within 1 year of each other lol). This would be a perfect set so each 1 could have 1 of them. This would be a great gift for my grandchildren!! I'd like to win a set of three mentioned DVDs for my nieces. We can enjoy watching them on a day that the weather is not too good and need to do something indoors. My e-mail is elixer2@hotmail.com. I would like to win this DVD for my grandkids they love watching in their spare time ! I would love to watch these videos with our grandchildren. We love movie night together with lots of extra treats and a late bedtime! Thanks for the great giveaway opportunity. My niece and nephew would enjoy this dvd! I'd like to win this for our family to enjoy. Oh those Ponies will be a big hit with one child and the Bots with another! Our two little ones, 2 and 4, would love these! I would love to win for my step grandkids! My son loves Rescue Bots & my daughter loves My Little Pony. This would be great! I would like to win this for my granddaughter -- she would really enjoy these movies. I think that my nephews would like them. I think my children would like these. Thank you. i would like to win these for my son and daughter we love having movie day and I know they would love these! I would love to win these for my kids. These are some of their favourite shows. i'd like to win these for my nephew~! I would like to win these for my nieces. I would love this for my daughter and son. My daughter likes Pet shop and My Little Pony. My son likes Transformers. I want it to donate to a local library which could use some new DVDs for kids. I would like to win this for my grandchildren to watch when they come to Nana's. Thanks! I would love to win for my children, they would be in heaven! I would love this for my BFF's twin grandchildren. I would like to win these for my nieces. . . . When you're looking for dog pet insurance, you should get the best. It is targeted primarily for domestic dogs whose owners want to ensure their safety.